Transgender people are in every facet of life – even prison. Jane Doe, a 53-year-old trans woman of color, is trying to survive her time while serving time – and it has not been easy. However, to her fellow transgender inmates, Jane Doe has hit the jackpot. She recently won a lawsuit against the Massachusetts Department of Correction to have her moved from the men’s prison (MCI- Norfolk) to the state women’s prison (MCI-Framingham). Consequently, Jane Doe has had to endure trans-misogynistic taunts and mockery that she is a “wannabe woman” by both inmates and correctional officers. She was humiliated while being forced to live, eat, sleep, shower and use the bathroom with male inmates. In 2017, Jane Doe sued the state. 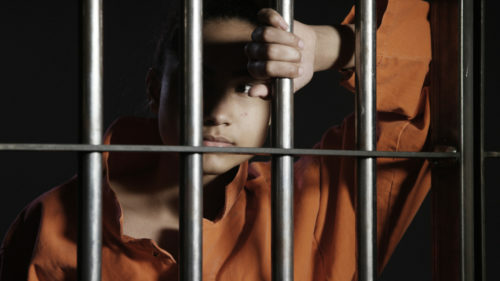 The lawsuit proved that the Massachusetts Department of Correction discriminated against Jane Doe because she is transgender, violating the equal protection of the law as stated in the Fourteenth Amendment, and violating the Americans with Disabilities Act by refusing to relocate Jane Doe to a women’s prison – a vital part of her treatment for gender dysphoria. Until 2018, when Governor Baker signed into law a new housing policy for transgender inmates which would enable them to be housed according to their gender identity, Massachusetts placed inmates in prison facilities according to their anatomy at birth by default. This put many transgender inmates in harm’s way. Hospital caretakers, for example, were often confused as to where to send these patients after being discharged, many of whom were sent to hospitals for being both physically and sexually assaulted. Before Baker’s bill, healthcare practitioners worried about their patients’ safety. Many have regularly reached out to me for answers and/or assistance. “I am wondering if you might have any insight into a question… Do you know how Massachusetts defines gender of transgendered inmates? If an individual is arrested and jailed while awaiting arraignment and is undergoing transition, are they jailed according to genitalia or by their identifying orientation?” one healthcare worker asked me. “Now, if this were a victim of domestic violence, I would have discussed safety with her. However, when I approached it in that manner (‘Are you safe returning to your situation?’) I was met with stares of incredulousness by the guards. I was ‘assured,’ the person with whom ‘the subject had a disagreement’ was moved to another unit and would no longer be in contact,” the worker said. Hopefully, with the new housing policy for transgender inmates in Massachusetts, there will be a precipitous decline in assaults against them. According to the Bureau of Justice Statistics, unwanted sexual activity with other inmates is ten times higher with transgender prison and jail inmates although they make up a small percentage of inmates. Massachusetts Transgender Political Coalition (MTPC) has been advocating for trans prisoners with state and local governments for years to assure these inmates are treated with dignity by allowing trans-related healthcare, appropriate attire, trans-related legal and educational books, to name a few. Jane Doe is serving a three-to-four year jail sentence for a nonviolent drug offense. She will serve her remaining time in the women’s facility.